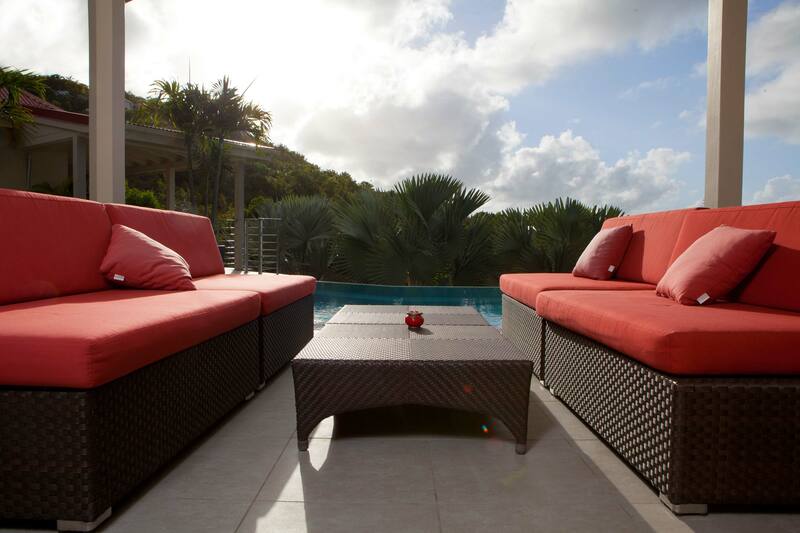 The villa La Maison Rouge is located high on a hillside with a vast panorama of the turquoise waters of Saint Jean Bay. 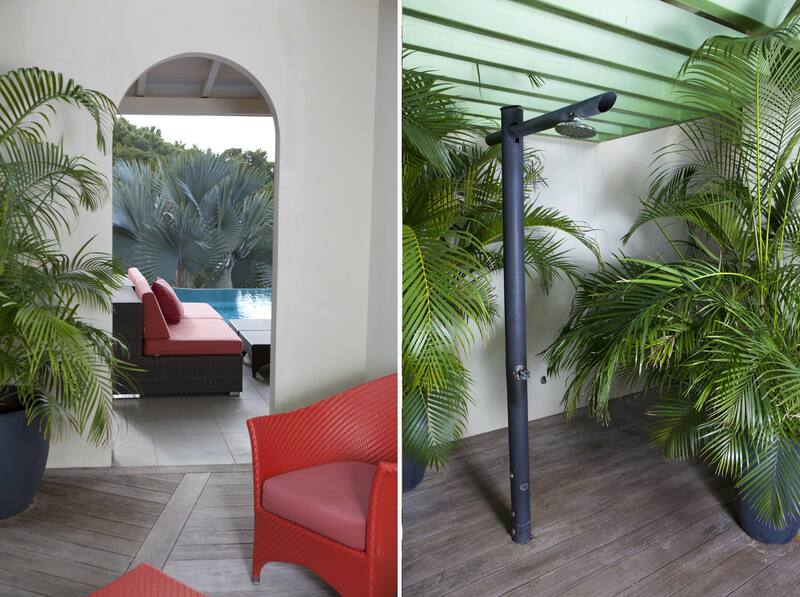 It is a villa with a colorful and contemporary design sense, and is well integrated into a quarter-acre landscape. It is designed for six people to enjoy, in a luxurious and extremely comfortable environment.